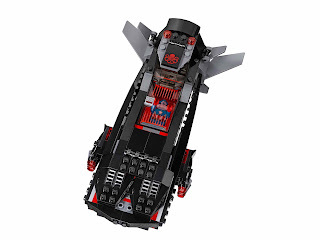 come with an iron skull sub and a hydra diver’s underwater jet. 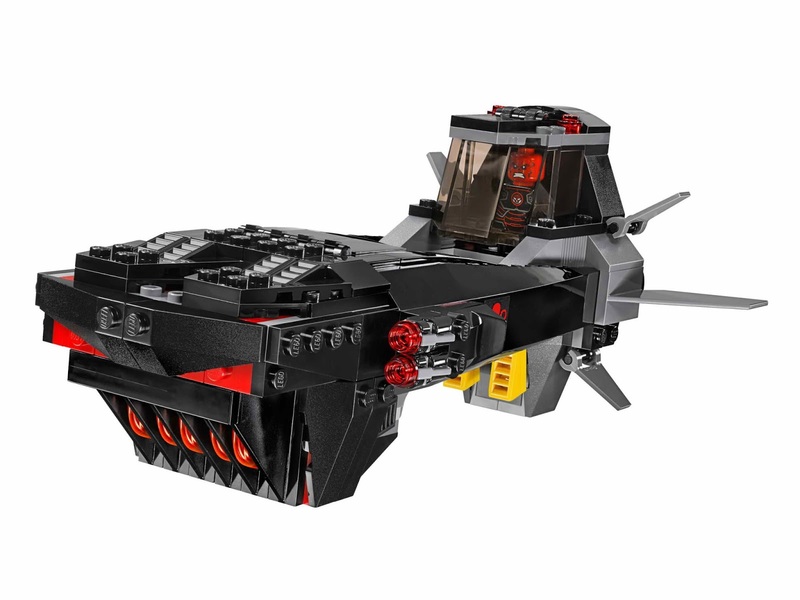 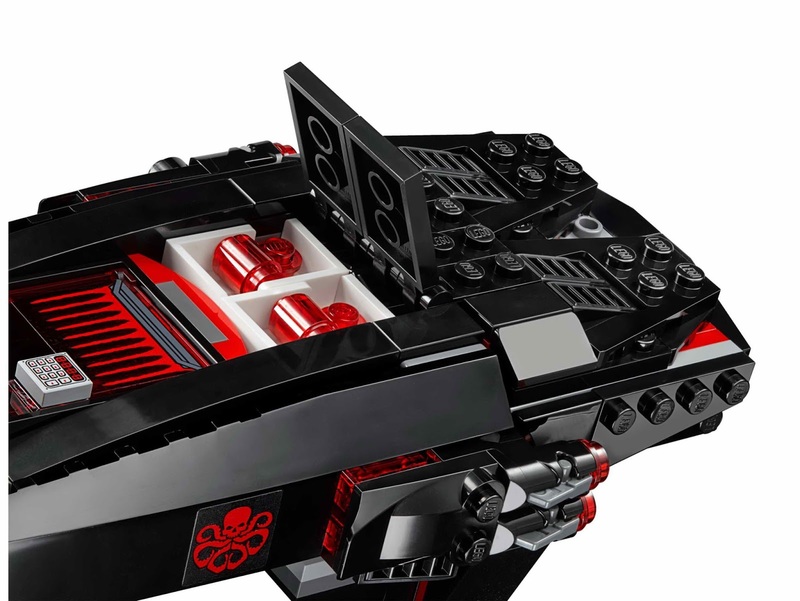 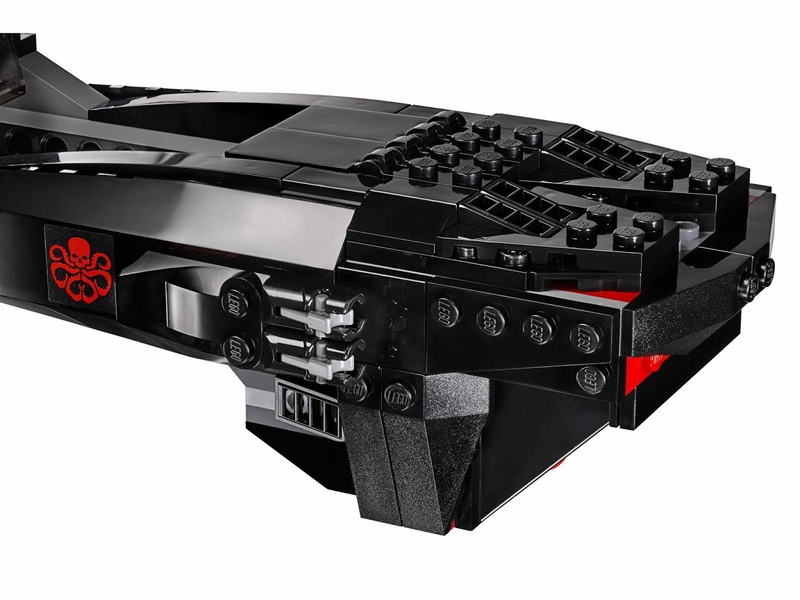 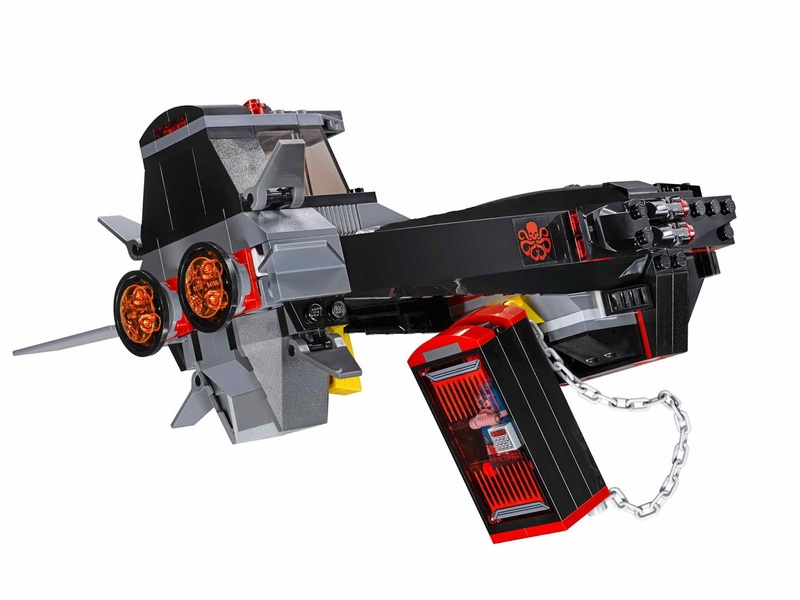 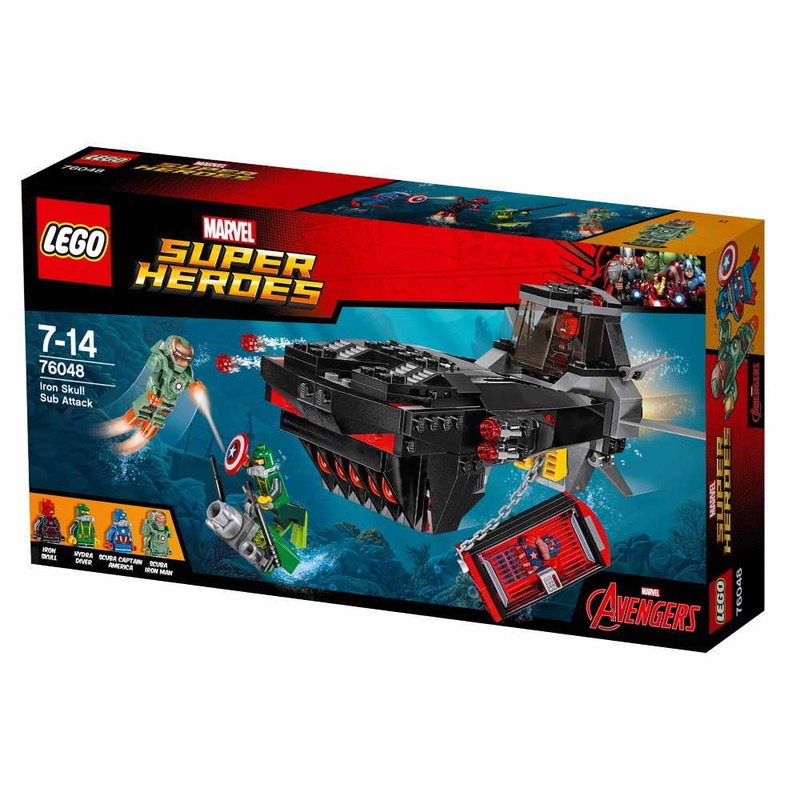 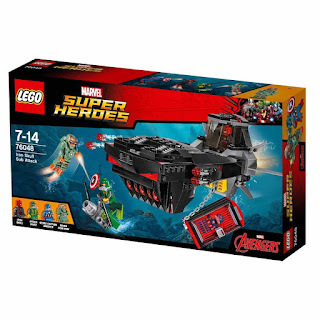 the sub has a red skull logo, an openable cockpit, an openable transparent door cage , 4 stud shooters and an iron skull’s gear storage compartment. 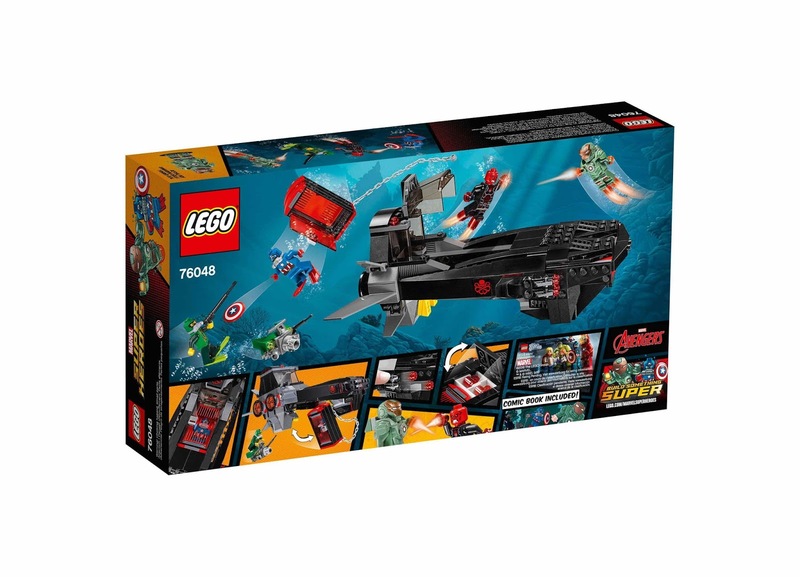 the jet has 2 harpoons. 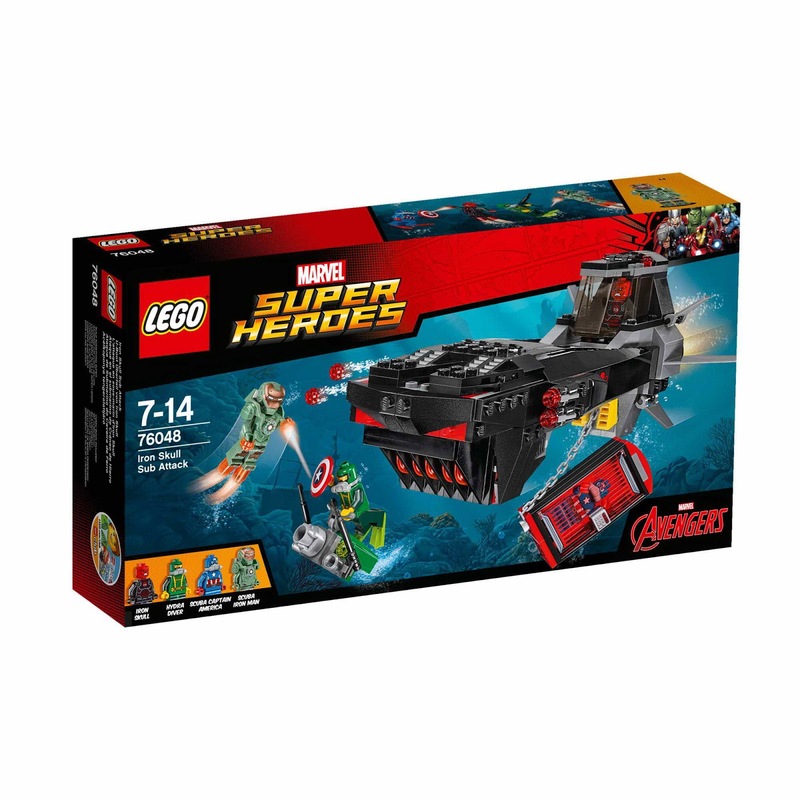 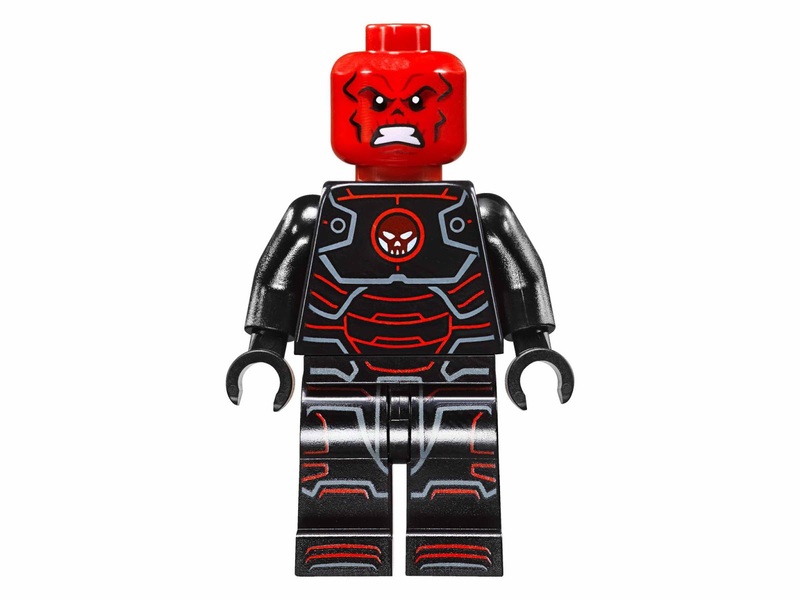 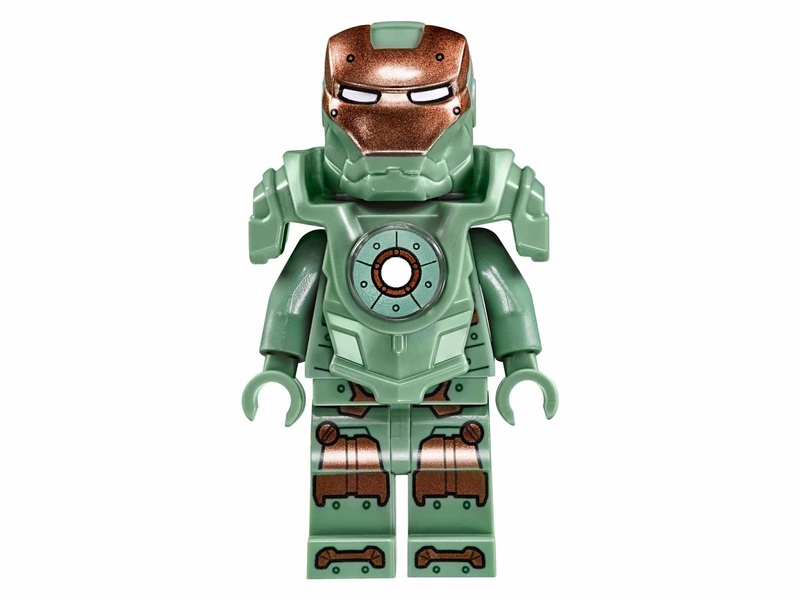 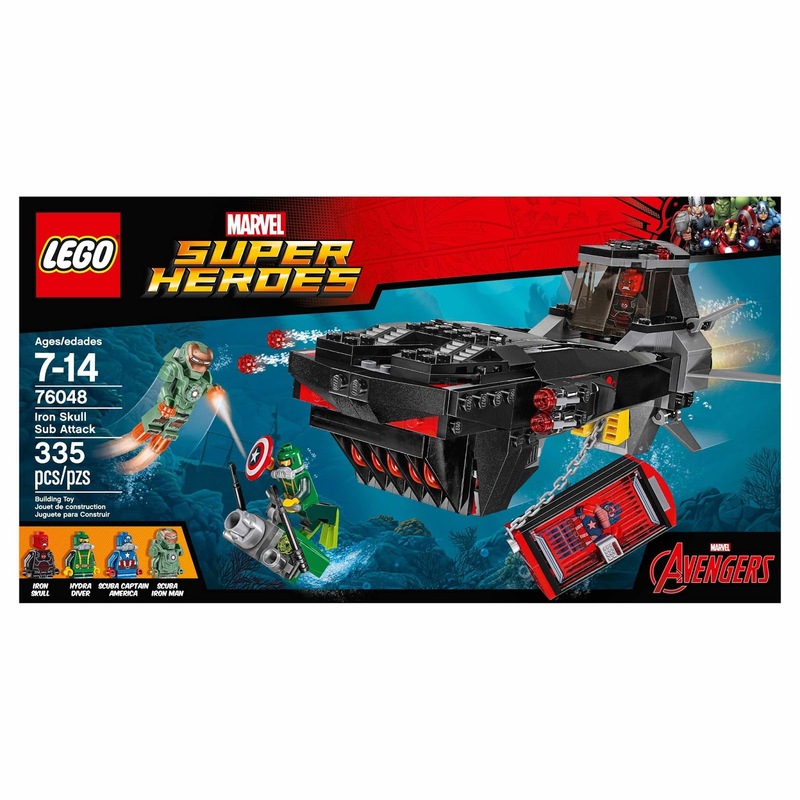 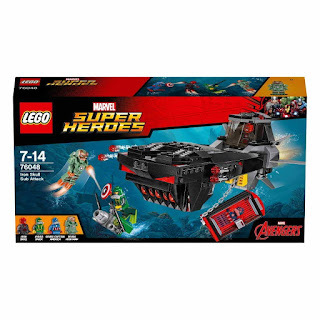 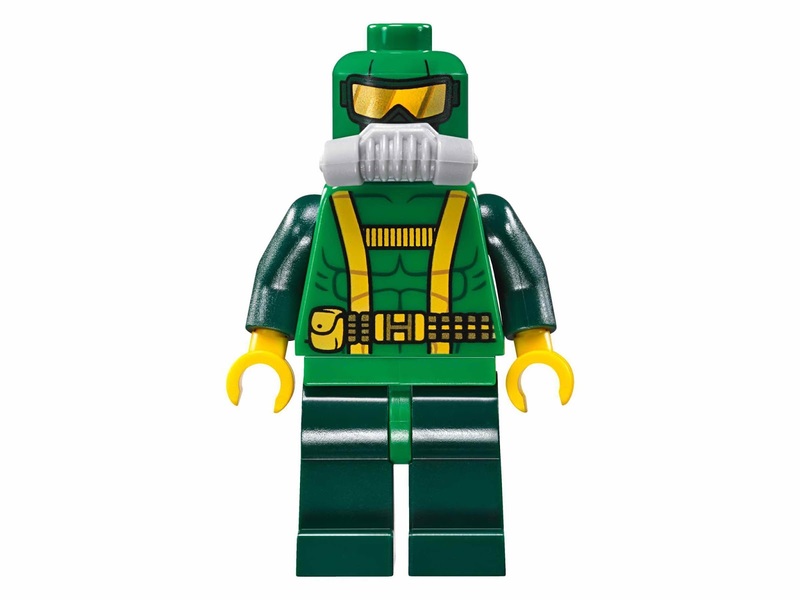 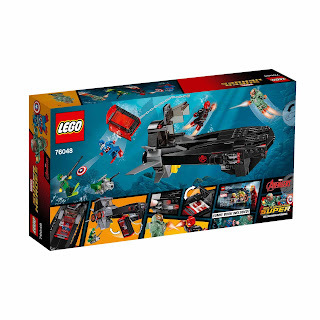 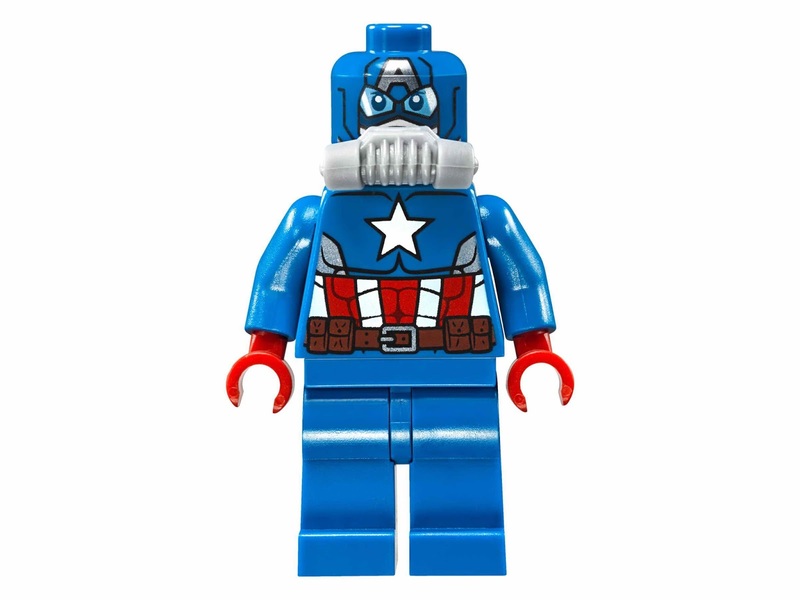 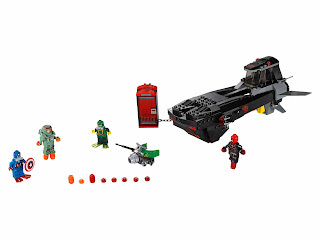 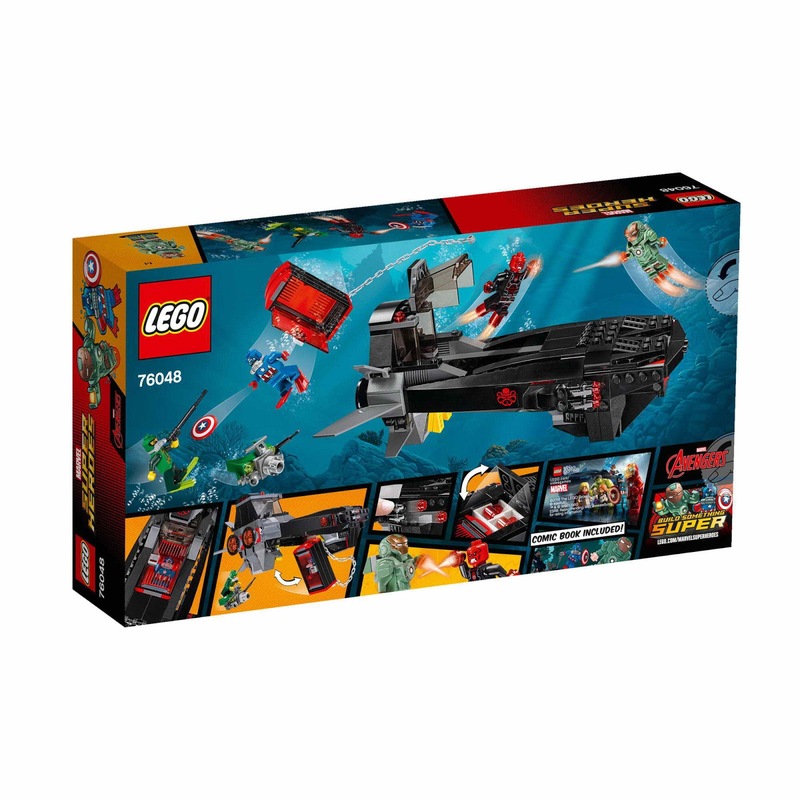 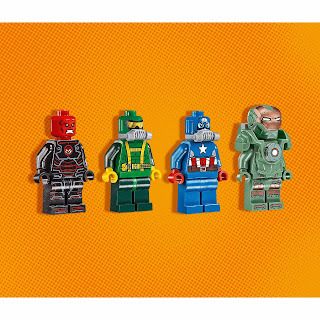 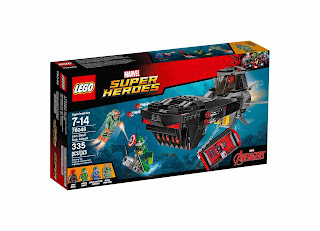 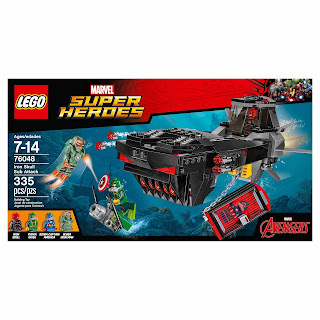 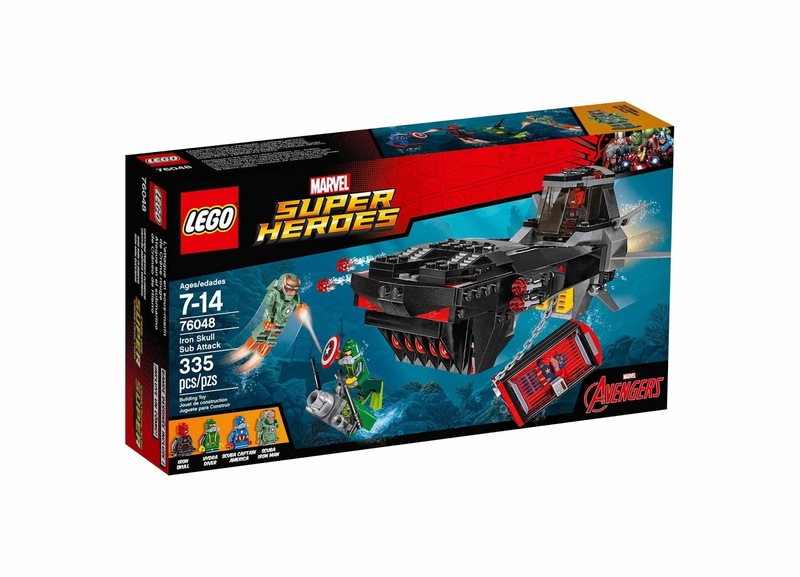 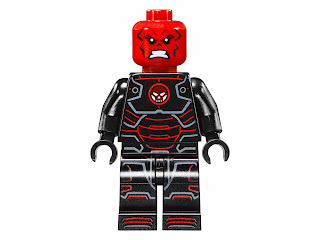 minifigs included a scuba iron man minifig, a scuba captain america minifig, an iron skull minifig and a hydra diver minifig.